There are two ways of looking at the outcome of Montana’s congressional race last November between Denise Juneau and Ryan Zinke. Most would say the race was over by midnight and that Juneau lost by 16 points to a Republican incumbent in a state that leans toward red. But some might also say that Juneau garnered more than 201,000 votes and raised more money than any other Montana Democrat vying for a seat in the U.S. Congress. They might also say that the race marked the end of Juneau’s tenure as the Superintendent of Public Instruction, in which she became the state’s first Native American woman ever elected to executive office. As her father often said, it’s not bad for a girl from Browning. Seated in a downtown Missoula cafe, Juneau reflected on the last five months – her run for Congress, her tenure as superintendent and her goals moving forward. She moved to Missoula in January, becoming the city’s newest resident, and she plans to refresh the law degree she earned from the University of Montana back in 2004. Juneau is also keeping an eye on the university’s search for a new president. She plans to apply for the post once the search committee announces the qualifications. During her tenure as superintendent, Juneau managed an agency that claimed a $1 billion budget with 180 employees. She worked with every school across the state, including Montana’s 140,000 students and 12,000 teachers. While she “merely” holds a law degree, she feels her experience suits her well for the presidency of the University of Montana. Juneau wrapped up her campaign in November and ended her job as superintendent in December. She moved to Missoula to live with her partner and has, for the time being, set her political career to the side in an effort to explore new opportunities. Looking back over the past eight years, Juneau remains proud of her accomplishments, with Graduation Matters topping her list. The program was born in Missoula before it swept the state, boosting graduation levels to historic highs for two consecutive years. Not only did the program boost graduation numbers, it also increased the standard. Juneau traces the program’s success to community outreach and partnerships, something she mentions often. 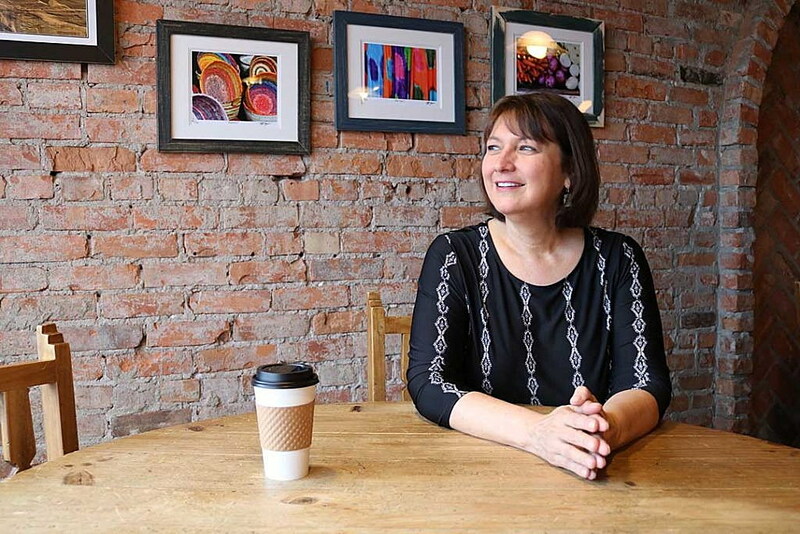 Along the way, her office worked closely with 58 Montana communities and 458 businesses, ensuring everyone had a seat at the table. The efforts included Schools of Promise – an effort to improve low-performing schools on reservations – and giving students a voice in the education process. During her tenure, Juneau said there wasn’t a legislative session in which one or more bills didn’t push toward privatization, charter schools and tax credits. With community partners, Juneau said, her office was able to hold those efforts at bay and ensure limited state funding went to public schools. Watching now from the sidelines, Juneau doesn’t know what the future will hold, though she’ll be watching closely. She maintains that privatization is bad for rural states like Montana, though she’s keenly aware of the direction the debate is taking at both the state and federal level. Now settled in Missoula, Juneau continues to make new friends and explore new opportunities. She’s left the rigorous race for Congress behind, a fact that’s evidenced on her Facebook page, which hasn’t been updated since November 9 – the day after the election. The final results saw Zinke win 56 percent of the vote to Juneau’s 41 percent. Despite the results, she remains pleased with her performance and is proud of the race she ran. During the campaign, Juneau traveled across the state, meeting Montanans and debating the issues. Along the way, she learned that Montanans care about the issues at hand, not about personalities and smear tactics. Yet too often, she said, negativity infiltrates politics. Shortly after the election, President Donald Trump tapped Zinke to serve as the administration’s Secretary of the Interior. A special election will be held this spring, pitting two new Montana candidates against one another in a bid for the state’s lone seat in Congress. Juneau said she passed on the opportunity to run again, believing it was someone else’s time to give it a try. In the time Juneau sat at the downtown coffee shop, she gave out hugs and spoke with friends. 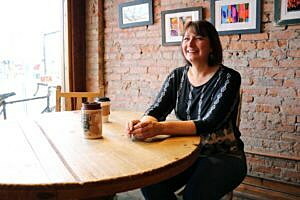 It’s exactly how she envisioned her free time – getting to know the Missoula community and exploring her new future. She’s content in taking some down time to see what the future offers.